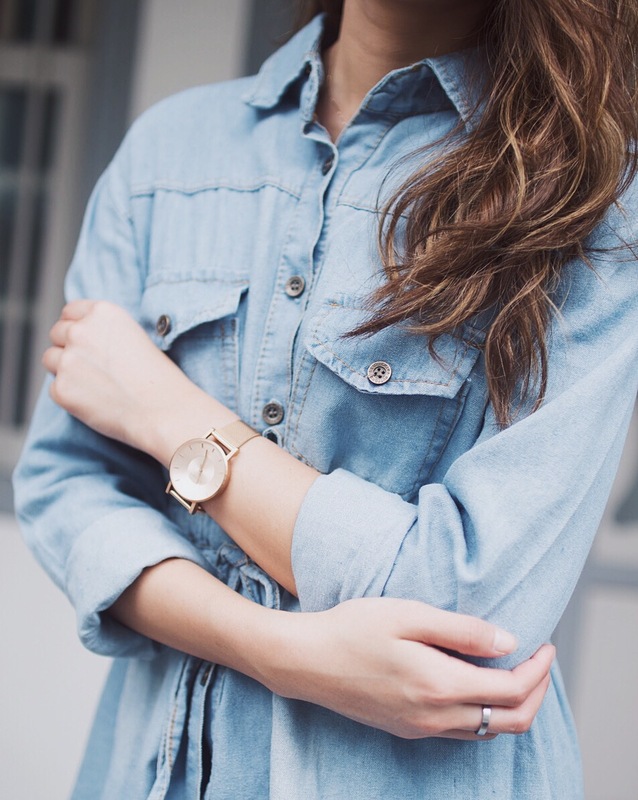 A good Denim Shirt Dress to me, is quite a staple in every girl's wardrobe. It's like the perfect throw-it-on-and-leave kind of outfit because you can't go wrong with it, neither do you need to wreck your brains on how to accessorise it. This one from Topazette is really soft, comfortable, light and comes with an added draw string touch in the middle for you to synch it up on days you want to look more put together. It also gives you a more defined silhouette and waist, which I'm totally digging! Plus, if you are always carrying alot of lose change and random knick-knacks like myself, this shirtdress comes with 6 functional pockets, yes six of them! I paired this with a pair of short-shorts (the kind that only peeks through ever so slightly) because I wanted to achieve the really long-legged look. But if you're uncomfortable with showing too much skin, which isn't that much in my opinion because the Denim Drawstring Shirt in Lightwash has a length that is just nice for a girl of typical height, you can throw it over a pair of tight skinnies or bandage skirt to show a little more shape. PS. You want to make sure your bottom is a body-hugging piece as you don't want all that loose fabric to consume you, it can be a little overwhelming! Have a good time shopping, guys! Once again, if you're interested in getting yourself something from Topazette, visit their website and cart out with "Mong" for 10% off your total bill.